Mercy Center possesses an area of 4315 root meters in Olgina village near Narva town for creating a rehabilitation center for children from troubled families and their parents. 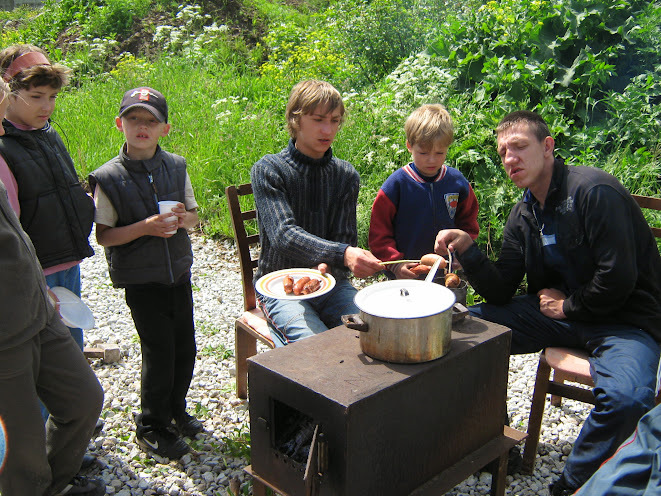 Mercy Center is going to organize a sort of a labor camp for poor children and adults who have lost their life’s aim. Those adults who are considered to be our target group had been spending their lives on the city dumping place for several years. And even though they are living now in the town communal houses they are still in a bad condition. The most important idea is to give these people a chance for rehabilitation and taking right way in life. Only food and clothes given to them will not bring considerable changes in the way they spend their life. They should be shown some positive perspective, so it will help them to change their attitudes toward the world. Mercy Center must give them a hand and another chance. Most of the former dumping place residents are good in some areas; they have a lot of technical skills. So, what we need is to give these people an opportunity to demonstrate their good sides. And we think that a new labor camp will help a lot. According to our plans the labor training base in Olgina will comprise a wood workshop, a pottery workshop, a sewing workshop, a souvenirs workshop, also youth village for rest. Of course, this project requires considerable investments. But making plans is the only way to get some results, otherwise we get nothing. The work does not go as fast as we wish, but it keeps going, step by step. Former homeless make their possible contribution but we still need so much help in building materials, because we cannot afford to cover their costs now. The walls have been raised recently; the next step is to repair the roof, to protect the people, working inside from the cold and rain. The work helps people to believe in themselves, to stand on their own feet firmly. People want to work; they like to be needed and useful. Let’s give them this opportunity.